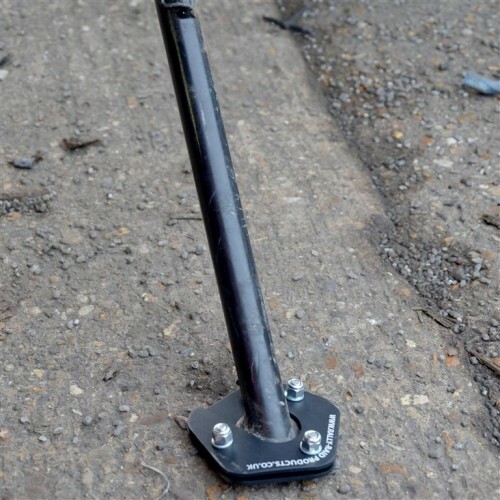 This laser-cut, anodised aluminium plate extension is designed to clamp around the existing foot of any side stand, offering much more surface area to resist sinking into soft surfaces, such as sand,mud,gravel etc. 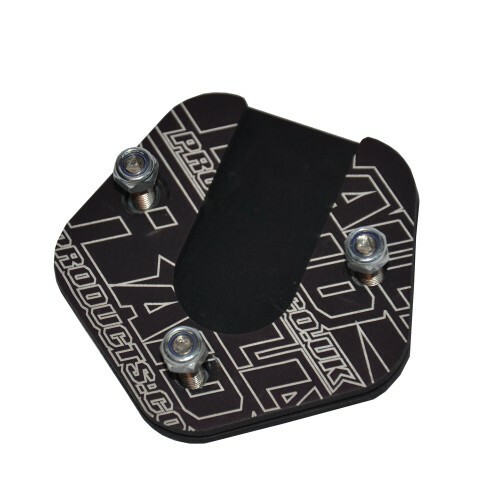 It is designed with riveted studs that do not interfere with the flat underside of the plate, stopping any "rocking" on hard surfaces. 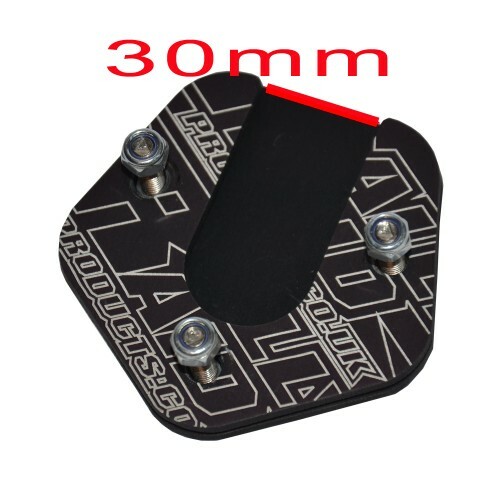 Will fit all side stands with a plate type foot, maximum plate diameter 50mm.